Manchester United manager Jose Mourinho seems to have quieted on the purported move of Atletico Madrid striker Antoine Griezmann. The striker was a reported top target for Mourinho considering that Zlatan Ibrahimovic is out injured and developmental projects in Anthony Martial and Marcus Rashford were not yet suitable for the role solely. Mourinho avoided being drawn into the issue as the team cruised to the Europa League title after defeating Ajax. Griezmann earlier has odds of 6/10 at moving to Old Trafford this summer but everything seems to have suddenly cooled down. Atletico’s appeal at the Court of Arbitration for Sports (CAS) against a FIFA-sanctioned transfer ban is believed to play a part. “I do not want to talk about Griezmann because that would be disrespectful to his club, Atletico. Just how I do not like others talking about my players, I’m not going to talk about Antoine either,” Mourinho fired when asked about the French star. 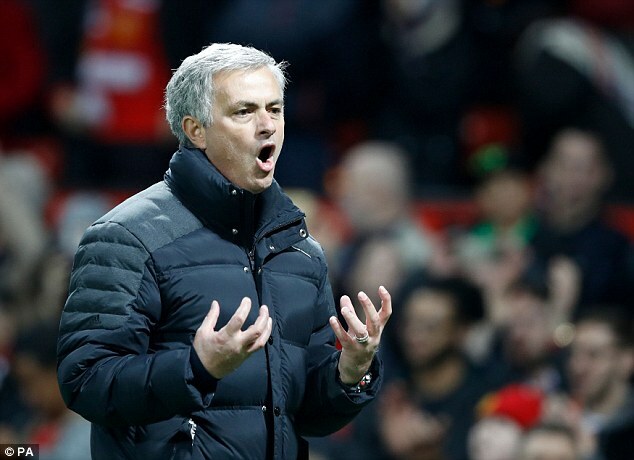 Mourinho preferred extolling the achievements of the team after their win on Wednesday. He said the club won a title they had not lifted before, qualified for the Champions League and won their third title this season. He said the club had face “difficult times in the last three years” but added that the team was “under construction” so winning was a good way of building the team. He added that winning the title was better that “finishing fourth, third or second,” taking a swipe at Premier League sides that also qualified for the Champions League ahead of United but not with an extra title, no matter how insignificant. If Atletico’s appeal stands, Fernando Torres would be expected to lead the attack next season after Coach Diego Simeone confirmed his stay. Next Post:WHY WOULD NEYMAR LEAVE BARCELONA?